Kasey Marie Bullard is the daughter of Peter and Danielle Bullard of Wells. Kasey will be attending Colorado State University this fall majoring in Psychology. Activities and/or awards received while at Wells High School include being a member of National Honor Society, a recipient of a Breakfast of Champions award and a recipient of numerous Academic Book Awards. 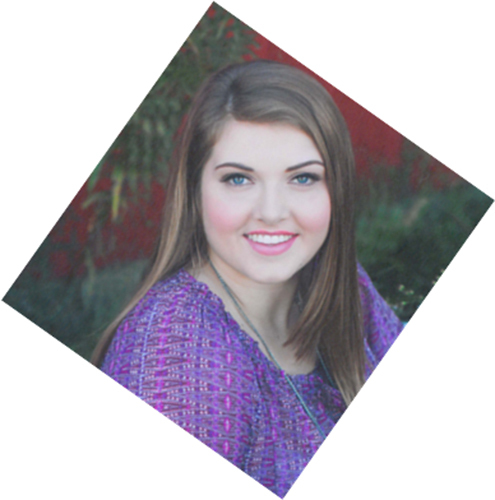 Kasey has been a member of the Cheering Team for four years and has participated in several Cheers From the Heart fundraiser events. Emily Dian Chrisemer is the daughter of William and Susan Chrisemer of Wells. Emily plans to attend Elon University and major in Mathematics. Her major activities and/or awards received while at Wells High School include receiving the Maine Association of Women Engineers award in 2013. Emily has been a member of the cross country team, the Varsity Winter Cheering Team, Varsity Fall Cheering Team, as well as Indoor and Outdoor Track teams. Anthony Scott Crawford is the son of Doug and Kathy Crawford of Wells. 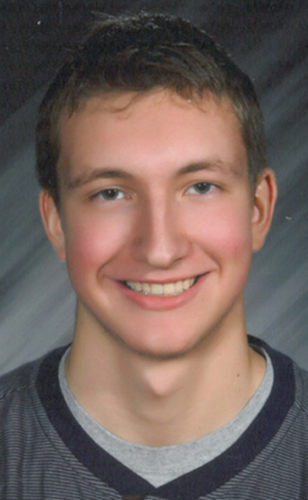 He has been accepted at the University of Maine- Orono and will attend there this fall with an undecided major.His major activities and/or awards received while at Wells High School include being a member of the National Honor Society and a recipient of a Breakfast of Champions award, numerous Academic Book Awards, and a Literary Achievement award. Anthony has participated in basketball and is a member of the Golf Team – receiving the Warrior Pride award for golf in 2013. Timothy Allan Finley is the son of Marcia Finley of Wells and Scott Finley of Newburyport, MA. He plans to attend Boston University to major in Mathematics. His major activities and/or awards while at Wells High School include being a member of the National Honor Society and a recipient of a Student of the Trimester award. 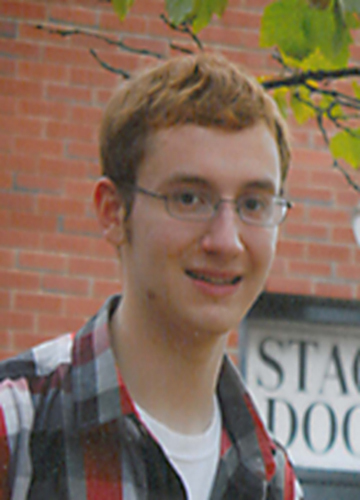 Tim is a member of the Math Team, the Drama Club, and the Warrior Marching Band for the past 4 years – holding the position of Drum Major his senior year. Zoe Michelle Gatzogiannis is the daughter of Foto and Kathy Gatzogiannis of Wells. She plans to attend St. Anselm College and is undecided as to a major. Her major activities and/or awards received while at Wells High School include being a member and secretary of the National Honor Society and received the Dartmouth College Book Award her junior year, a Student of the Trimester award, as well as numerous academic book awards. She has been a member of the field hockey team, the dance team, the fall/winter cheering teams, and was named to the All-Academic Team in Cheering and a Western Maine Conference All-Star athlete. Cassidy Lynn Healey is the daughter of Elaine Healey of Wells and Paul Healey of North Berwick. Cassidy is the Valedictorian of the Class of 2014. 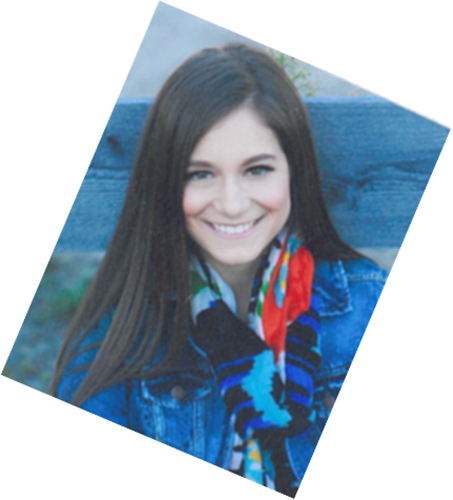 This fall, she will attend Quinnipiac University and will major in Biomedical Sciences. Her major activities and/or awards received while at Wells High School include being a member and president of the WHS Chapter of the National Honor Society. She has received several Literary Achievement Awards. Cassidy has been a member of the Lacrosse team and the Cheering team – winning three Western Maine Conference Championship titles in this sport. Tristan Alexander Jordan is the son of Alan and Mary Jordan of Wells. 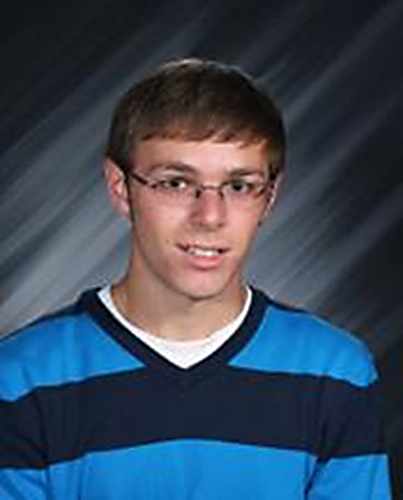 He plans to attend the University of Southern Maine to major in Business Administration. His major activities and/or awards received while at Wells High School include being a member of the WHS Chapter of the National Honor Society, the math team, the Warrior Marching Band, Concert Band, and Jazz Band. Tristan has been a member of the Varsity Boys Soccer team, Varsity Boys Swim team, Varsity Track & Field team, and the tennis team. Jasmine Rae Loukola is the daughter of Robert Loukola and Sue Ramatowski of Wells. She will attend Worcester Polytechnic Institute this fall and will major in Civil Engineering. Her major activities and/or awards received while in Wells High School include being a member of the National Honor Society, a recipient of the Maine Society of Women Engineers award, Literary Achievement Awards, and Student of the Trimester awards. She has been a member of the WHS Marching Band, Concert Band, and chorus. Jasmine has participated in basketball, indoor track, field hockey and girl’s lacrosse – being named captain of the latter two teams her senior year. She was awarded the Western Maine Conference Citizenship Award in 2014. Nicole Reid Moody is the daughter of Patrick and Amy Moody of Wells. Nicole is the Salutatorian for the Class of 2014. She plans to attend the University of New Hampshire and major in Nursing. Her major activities and/or awards received while at Wells High School include being a member of the National Honor Society and Class President and Vice-President. She is a recipient of the St. Anselm’s Book Award. Nicole is also the recipient of the Maine Principal’s Association award and has received the Breakfast of Champions Award, Student of the Trimester awards, and numerous Academic Book Awards. She has been a member of the Girls Basketball team, the Golf Team and the Lacrosse team and was named a Western Maine Conference All-Star athlete for golf and basketball and the All-State team for lacrosse. Nicole was also named to the McDonald’s All-State/All -Academic team her senior year being one of only 10 athletes selected throughout the state. Elizabeth Ainsley Thompson is the daughter of Guy and Allison Thompson of Wells. 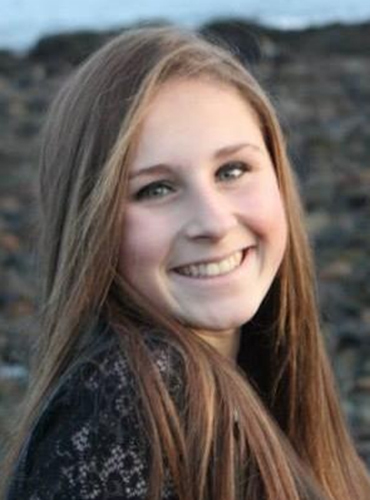 She is planning to attend the University of Maine in Farmington and major in Secondary Education/English. The major activities and/or awards received while at Wells High School include being a member of the National Honor Society and Student Council. Elizabeth has received the Breakfast of Champions award, a Literary Achievement Award, and numerous Academic Book Awards. She has participated in Color Guard, Winter Guard (captain) and the Drama Club and has volunteered many hours at the Wells Elementary School. Amelia UnaRosa Verges is the daughter of Ronda Verges of Wells and Alcide Verges. She plans to attend Old Dominion University and major in Chemistry through their ROTC program. 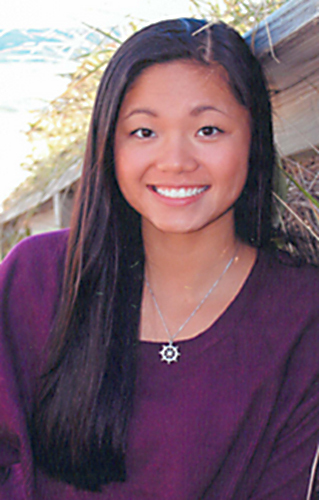 Her major activities and/or awards received while at Wells High School include being a member of the National Honor Society and a recipient of numerous Academic Book Awards. She has participated on the Cheering Team being selected to the All-Academic Team in that sport. Amelia also received the Western Maine Conference Athletic Recognition award.